Add the condensed milk and stir until well blended. Last, pour-in the white rum and the remaining two cups of sliced strawberries. Serve in large cocktail glasses over ice. ¡Salud! For a non-alcoholic drink, skip the rum and add an extra cup of water. 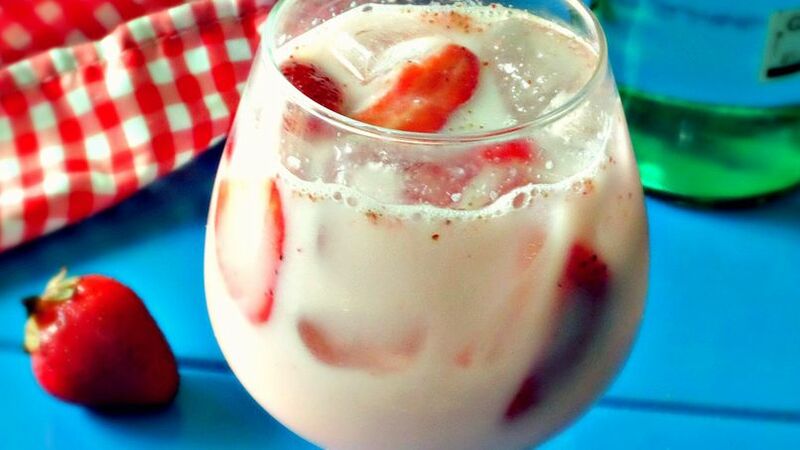 If you like piñas coladas, then you'll be delighted by this strawberry colada cocktail. It's perfect for celebrating the beginning of summer.